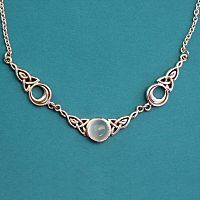 - Once thought to be formed from the pure, white light of moonbeams, moonstone has a rich history of use in jewelry. 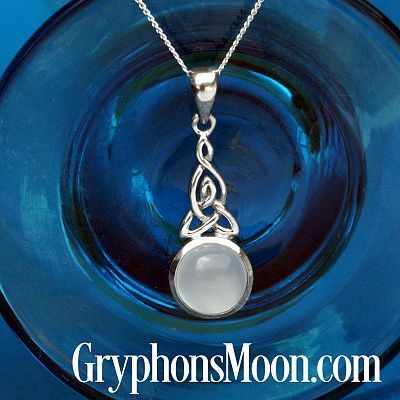 Its distinctly feminine energy brings to mind the mystery and magic of the full moon. 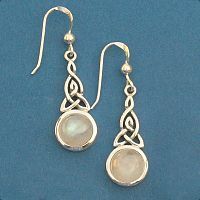 White moonstone set in sterling silver. 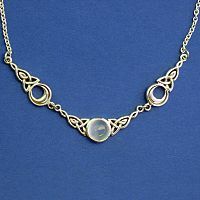 Comes with an 18" sterling chain. 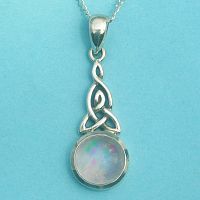 Pendant and bail measure 1-1/4" tall. For a limited time, we are able to offer these lovely pendants for 30% off. Don't miss these great savings! 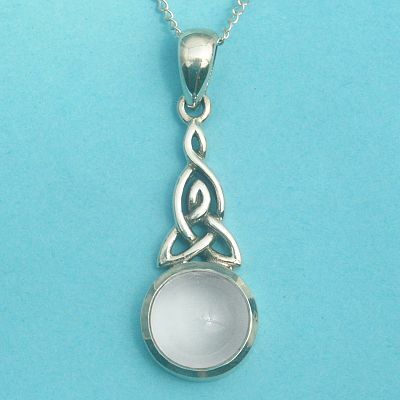 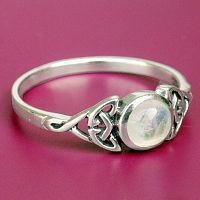 Do you have any other questions about our Silver Celtic Moonstone Pendant - White?